Spectacular Views in Every Direction! Masterful design and luxury are uniquely embodied in this 4 bedroom 3 bath stunning home with 2804 SF of living space! 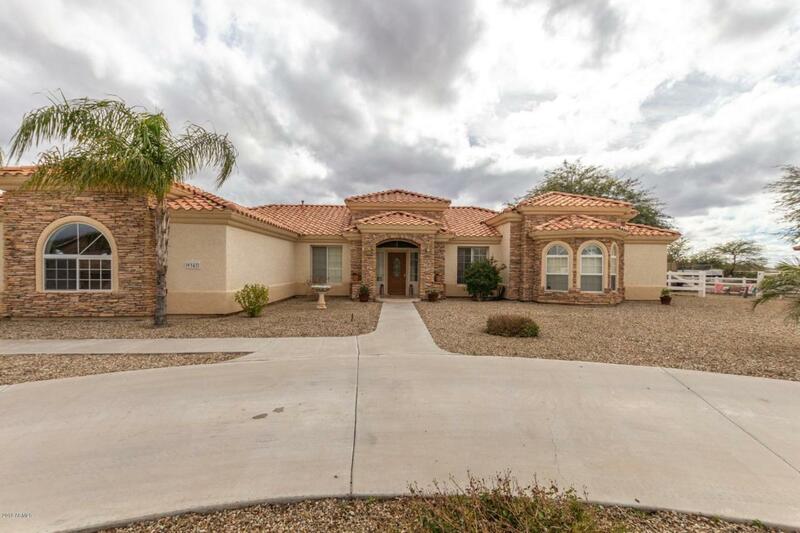 Upon entering this home you are greeted with sprawling ceilings, gorgeous tile flooring and the open floor concept! The island kitchen features plant shelving, SS appliances, tiled backsplash, wall ovens, breakfast bar, dual sinks and rich warm wood cabinetry! The spacious bedrooms offer high end plush carpeting and ceiling fans. The master bathroom showcases a garden style bathtub, separate shower and dual sinks. The covered back patio overlooks the magnificent backyard that offers endless possibilities and stunning panoramic mountain views! Look no further! Book your showing today! This home will surely not disappoint!